Sometimes you might discover that when you connect your device to your iTunes account, it refuses to allow you transfer music to the new iPhone 8. It could be as a result of any particular problem; the commonest of which might be that the iTunes media files on your device are missing or corrupted. In some other cases of iTunes won’t transfer music to iPhone, it could be that the files you want to transfer are larger than the space left on your phone. Or maybe iTunes failed to locate the particular songs you requested for, in your library. 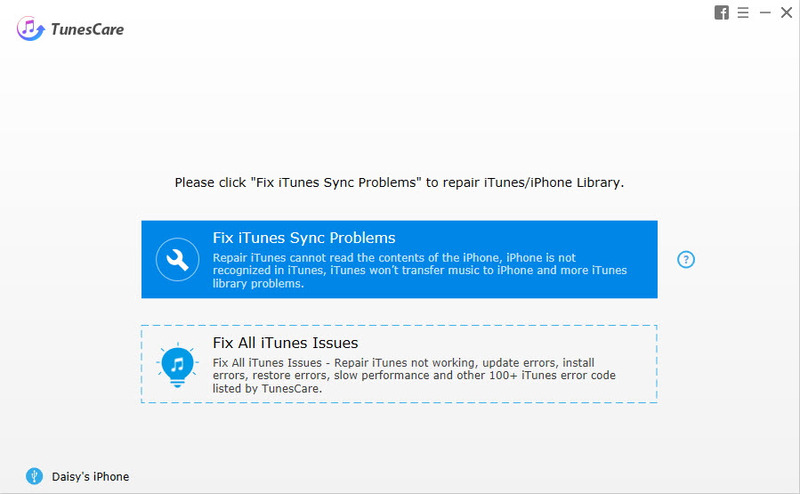 You could use the software, TunesCare to repair/rebuild your library. And after it detects the problem, it automatically fixes the situation. 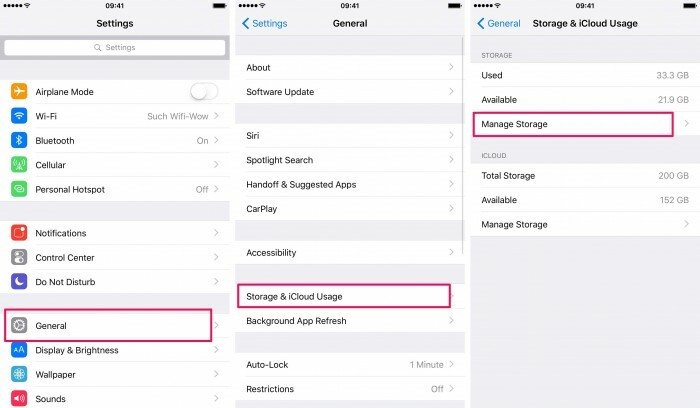 To discover how much space you’re left with, go to your iPhone’s Settings > General > Usage > Storage. Under the storage outline, you’ll be able to find out how much space you have. If it’s not enough for the transfer, free up space by deleting files you no longer need anymore. 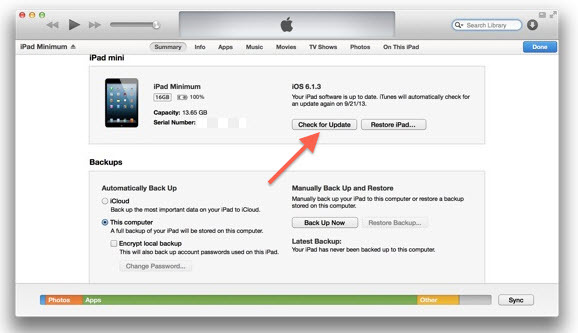 Sometimes the problem you might be facing could be as a result of the version of iTunes you’re using. In this case, all you have to do is update the app to the newest version. Check for updates in your Apple store. iMyFone TunesMate is an alternative method to adopt when “iTunes won’t Transfer Music to iPhone”. The inability of iTunes to selectively transfer data between other devices has made things difficult for Apple users. And since things might not change where they’re concerned, third-party apps like TunesMate were created. 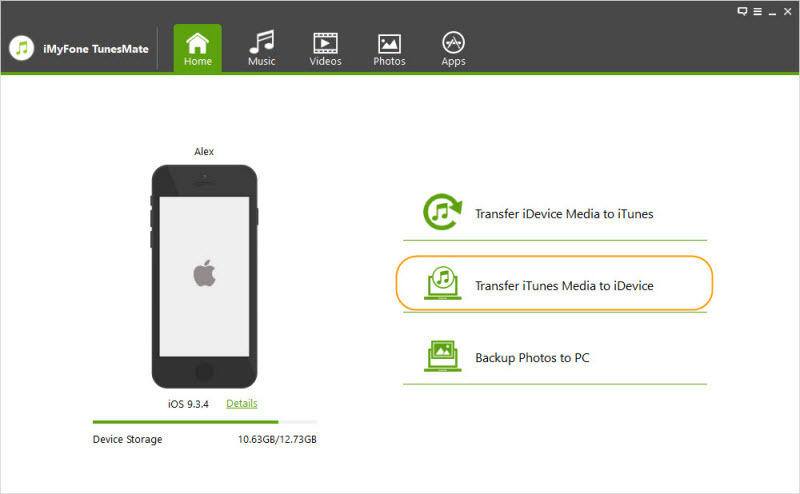 TunesMate supports the transfer of iOS files to PC/iTunes without experiencing any unnecessary problems. All you need to do is drag the particular file you need, and then drop them in your local library. Step 1: After downloading and installing iMyFone TunesMate, you’ll receive a reminder on the Home Interface, to connect your device to your computer. Step 3: Tap the start button to begin the scanning process of your iTunes files. After the procedure is complete, a list of files not in iTunes library is displayed in a list form for you to see. Step 4: Select the Music and start the transfer process. 1. 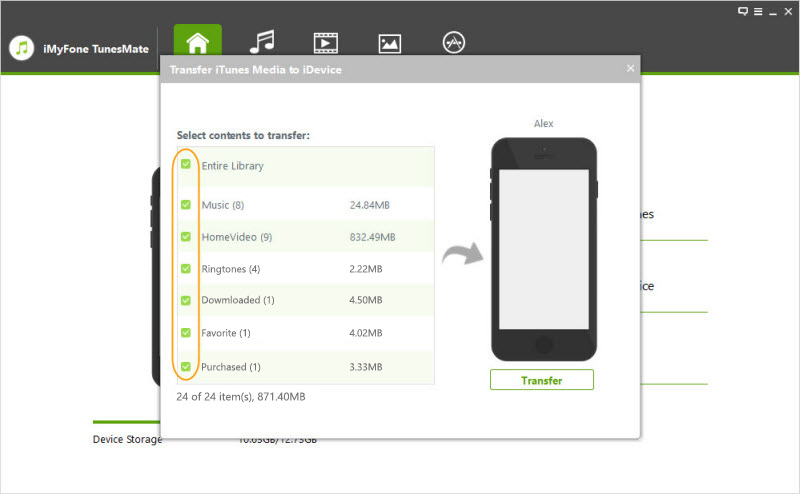 You can share your music with others by just transferring files from your device to theirs. 2. It seamlessly syncs iTunes between PC and iOS. 3. It can efficiently manage your iPhone's media files, apps, documents, and other activities. 4. You can export your music to a PC as a backup means. 5. It can enrich your music library, as well as the ones of your family and friends. 6. The TunesMate acts as a bridge between your iPod/Ipad/iPhone and PC/iTunes, without having to experience any form of sync-block. 7. You can save storage space, and time too, by uninstalling multiple iOS apps at once. 8. With the aid of TunesMate, you can relish your favorite music and movies at any point in time, without having to worry about iTunes passwords. 9. You don’t have to worry about the loss of data while using the TunesMate. 10. It can freely transfer all formats of iOS media. 11. It comes in handy when iTunes won’t transfer music or other files to your iPhone. 12. While moving video/music to your iPhone, the software can convert the files automatically from an incompatible format to a compatible one.